ArmorMax® Anchored Reinforced Vegetation System is the most advanced flexible armoring technology available for severe erosion challenges. 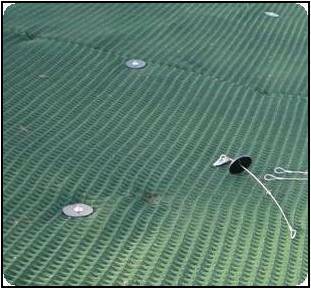 Consisting of our woven three-dimensional High Performance Turf Reinforcement Mat (HPTRM) with X3® fiber technology and earth percussion anchors, you can count on the ArmorMax® system to hold its ground. 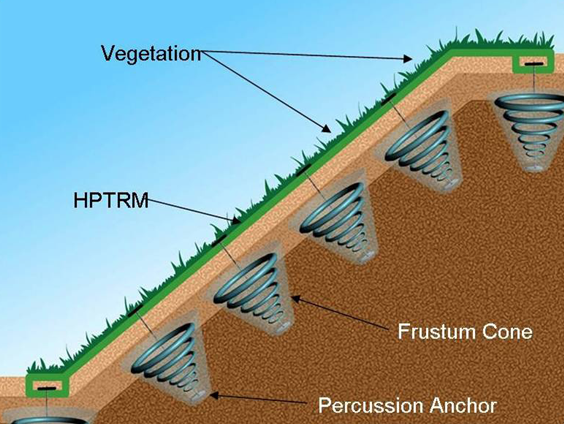 Engineered to provide long-term design life, the ArmorMax® system consists of a lightweight HPTRM layer and earth percussion anchors that work together to lock soil in place to resist movement for permanent erosion protection for vegetated or unvegetated applications. The system supports the EPA’s Green Infrastructure initiative and is a recognized storm water Best Management Practice (BMP) and is proven to reduce erosion and reinforce vegetation for low-impact, sustainable design. 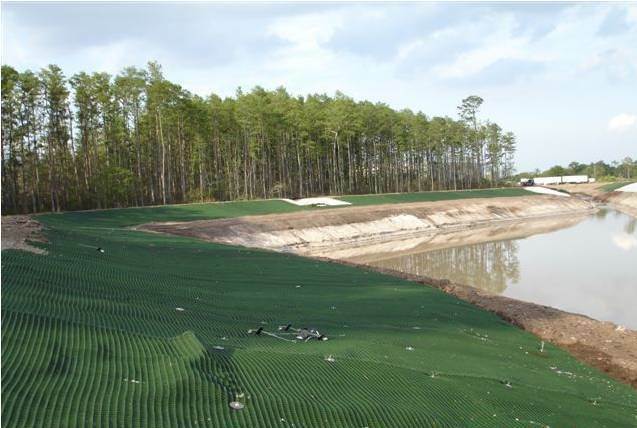 The ArmorMax® anchored reinforced vegetation system is used for Non-Structural applications such as levee armoring, protection of stream, river and canal banks and in arid/semi-arid storm water channels. 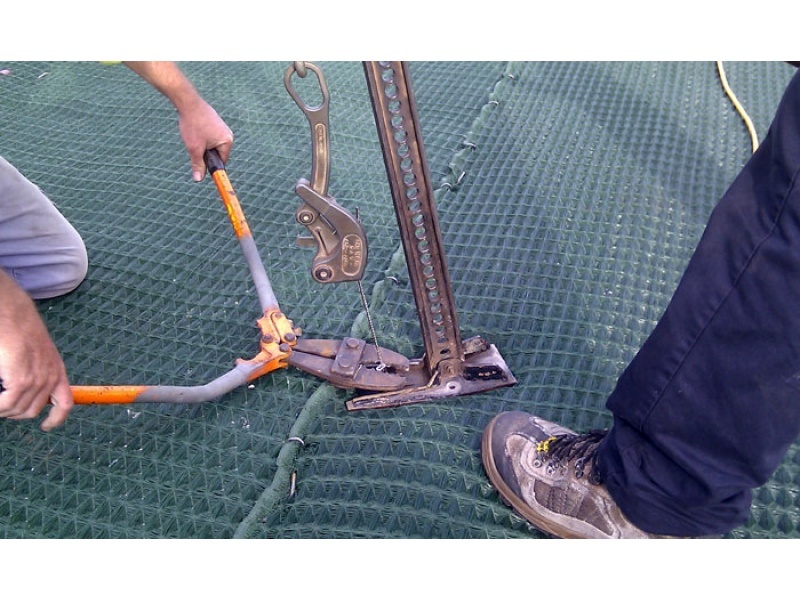 The lightweight protection layer (HPTRM) is securely anchored to the subgrade typically with Type B1 (Type 2) earth percussion anchors which act as a tie-down mechanism for additional factors of safety and long-term design life. 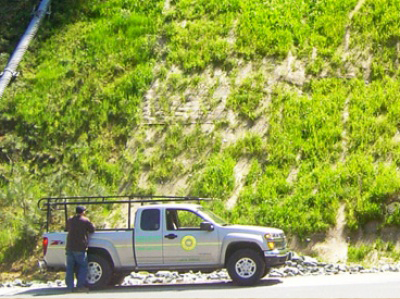 ArmorMax® is used for Structural Applications to provide surficial slope stabilization to resist shallow plane instability. A shallow plane failure occurs when sloughing of near-surface soils descend down moderate to steep slopes. ArmorMax® is an engineered solution that provides a higher factor of safety, erosion protection and superior surficial strength. Durable, flexible armoring system. Withstands extreme hydrualic stresses and is resistent to rebris loading. Easy, quick installation and maintenance friendly. Aesthetic, low-impact design and greater UV stability. 40% more surface area for rapid vegetation growth, superior tensil strength and is wildlife friendly. The system is comprised of a High Performance Turf Reinforcement Mat (HPTRM) and Type B2 or B3 earth percussion anchors as specified by the project engineer HPTRM provides erosion protection and surficial strength allowing rapid vegetation growth keeping soil in place to resist movement Earth percussion anchors installed below the failure plane secure the HPTRM to the subgrade and tie soil mass together to provide stability An easy-to-install, more cost-effective alternative to rock slope protection and soil nailing with shotcrete Engineered vegetated solution that is more environmentally friendly and aesthetically pleasing.